Four major parties hail SC's consent for CJ led government; NBA stands against it - Integration Through Media ....! KATHMANDU: The four major political forces have hailed the Supreme Court’s consent over the parties’ proposal of presiding sitting Chief Justice Khil Raj Regmi at the helm of an election government. A meeting of the four major political parties—the the UCPN-Maoist, Nepali Congress (NC), CPN-UML and United Democratic Madhesi Front (UDMF) —held today termed the Supreme Court’s statement as admirable. However, the meeting failed to finalize the differences among the political parties to form the CJ led government. UDMF has been demanding to distribute citizenship certificate to eligible people before the elections of the constituent assembly, while the UCPN-Maoist demanding consensus should be made in Truth and Reconciliation Commission. Media reports quoted Nepali Congress Vice President Ram Chandra Paudel as saying that the meeting hailed the SC’s note to permit the CJ to lead the purported election government. “Now, parties will focus on how to overcome the legal and constitutional hurdles,” Paudel added. According to him, the meeting has entrusted the 8-member task force to deal with the legal and constitutional hurdles related to the proposed election government that the parties are mulling over to form under Chief Justice Khil Raj Regmi. The task force, comprising two members each from four major political parties, will present the report to the top leaders before their meeting scheduled for Wednesday. Earlier, this morning, top leaders of the parties had called on CJ Regmi and appeased him of what he has been offered with. CJ Regmi has expressed readiness to lead the election government. However he suggested major parties to modify some of the points of the proposal for forming a government led by him. A statement issued by the Supreme Court stated that the CJ is ready to lead the government considering the gravity of the situation. “The CJ is positive to accept the offer to bail out the country from current political impasse and it is not his personal wish,” the statement added. However a case, whether the CJ should led the election government or not, is under review at the Special bench of the Supreme Court. 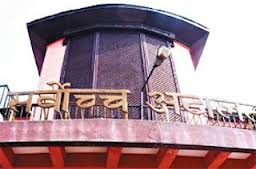 Meanwhile, Nepal Bar Association, an umbrella organization of legal practitioners has objected the Supreme Court’s nod to the new election government under the leadership of CJ. Talking briefly with a local Television channel, newly elected Vice Chairman of the NBA, Tikaram Bhattarai said that the NBA will never compromise on the independency of the judiciary. NBA has already mentioned that it will go for strike if decision was made to form CJ led government as it will violate the norm of Separation of Power and Check and Balance.